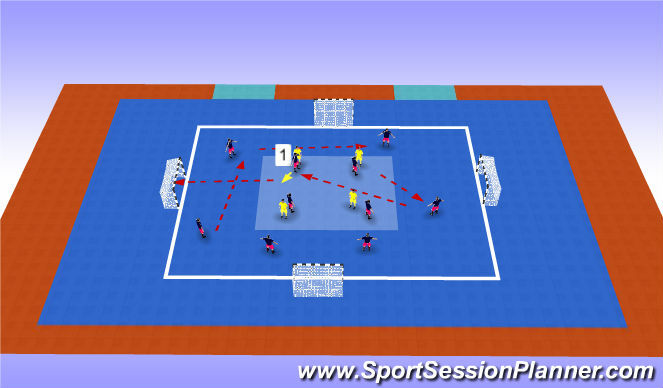 4 v 4 in centre square;rest of players outside.Outside players pass ball around and once three passes occur,they can pick their moment to pass again around or play to one of four players in centre square.Yellow players defend. Receiving player has one touch to move out of feet and then to shoot at any goal.However...can not shoot at the goal facing him on theside he receives ball. (Emphasis on encouraging quick movement out of sheet,and shoot as shown by 1).